Diversifying one's savings in PPF and equities would serve the purpose of long term savings rather than relying entirely on any one of them. Even after several decades, Public Provident Fund (PPF) Scheme, 1968 continues to be a favourite savings avenue for several investors. After all, the principal and the interest earned have a sovereign guarantee and the returns are tax-free. The principal invested qualifies for deduction under Section 80C of the Income Tax Act, 1961 and the interest earned is tax exempt under Section 10. With interest rates on taxable fixed income investments coming down, PPF remains a suitable alternative for allocating debt portion of one's investment portfolio. Allocation to equities through diversified equity mutual funds is equally important, especially when the goals are at least seven years away. In 1968-69, PPF offered a 4 per cent per annum interest (inflation was -1 per cent) and today it offers 8 per cent (inflation at 5 per cent), while from 1986-2000 it offered 12 per cent (inflation varied between 3.3 and 13.7 per cent). PPF is a 15-year scheme, which can be extended indefinitely in block of 5 years. It can be opened in a designated post office or a bank branch. It can also be opened online with few banks. One is allowed to transfer a PPF account from a post office to a bank or vice versa. A person of any age can open a PPF account. Even those with an EPF account can open a PPF account. One can deposit a maximum of 12 times in a year, but remember to deposit before the 5th of the month to get interest for the full month, as the interest is allowed on the lowest balance at the credit of an account from the close of the 5th day and the end of the month. Many investors deposit a lump sum amount right at the beginning of the financial year. There are provisions to take loans and make partial withdrawals from the scheme as well. With the tax-saving season on, many of us are looking to open a PPF account. Here are a few things to consider before opening one. PPF is a debt-oriented asset class, i.e., one's investment is not exposed to equities and hence returns are not linked to the stock market performance. The interest rate on PPF returns are set by government every quarter based on the yield (return) of government securities. Currently, it offers 8 per cent interest per annum till March 31, 2017. As the interest is tax-free, the effective pre-tax yield for someone paying tax at 10.3 per cent, 20.6 per cent and 30.9 per cent rates will be 8.91 per cent, 10.07 per cent and 11.57 per cent per annum respectively.. While the minimum annual amount required to keep the account active is Rs 500, the maximum amount that can be deposited in a financial year is Rs 1.5 lakh. One can open a PPF account in one's own name or on behalf of a minor of whom he is the guardian. This is the combined limit of self and minor account. If contributions are in excess of Rs 1.5 lakh in a year, the excess deposits will be treated as irregular and will neither carry any interest nor will this excess amount be eligible for tax benefit under Section 80C. This excess amount will be refunded to the subscriber without any interest. A PPF account on behalf of a minor can be opened by either father or mother. Both the parents cannot open a separate account for the same minor. An individual may, therefore, open one PPF account on behalf of each minor of whom he is the guardian. At times, grandparents are interested in opening PPF for their grandchildren. PPF rules however, do not allow them to do so, when the parents of the minor are alive. They can open the account only if they are appointed as legal guardian after the death of the parents. An individual can open only one account in his name either in a post office or a bank and he has to declare this in the application form for opening the account. Persons having a PPF account in the bank cannot open another account in the post office and vice-versa. If two accounts are opened by the subscriber in his name by mistake, the second account will be treated as irregular account and will not carry any interest unless the two accounts are amalgamated. For this, one has to write to the Ministry of Finance (Department of Economic Affairs) and get its approval. Unlike in the past, when only loans and partial withdrawals were allowed, now even premature closure of the PPF account is possible. It will, however, be allowed only after the account has completed five financial years and on specific grounds such as treatment of serious ailment or life threatening disease of the account holder, spouse or dependent children or parents, on the production of supporting documents from the competent medical authority. 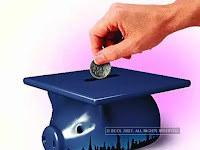 If the amount is required for higher education of the account holder or the minor account holder then, on production of documents and fee bills in confirmation of admission in a recognised institute of higher education in India or abroad, premature closure of the PPF account is allowed. The application form of PPF (Form-A) does not carry the provisions for nominations as it is to be filled in a separate form. Make sure to fill the nomination form (Form-E) at the time of opening a PPF account to avoid any legal hassles for the nominee later on. The PPF account and its balance cannot be attached by a court and hence the debtors cannot access one's PPF account to claim the dues, if any. However, it does not apply to the income tax authorities and so the amount standing to the credit of subscriber in the PPF account is liable to attachment under any order of income tax authorities with respect to debt or liability incurred by the subscriber. PPF suits those investors who do not want volatility in returns akin to equity asset class. However, for long-term goals and especially when the inflation-adjusted target amount is high, it is better to take equity exposure, preferably through equity mutual funds, including ELSS tax saving funds. Comparing them, however, is not warranted as both are different asset classes, with one generating around 8 per cent returns as compared to the others around 12 per cent. The latter has a higher maturity corpus (with relatively more volatility) than the former (with relatively more volatility.) Diversifying one's savings in PPF and equities would serve the purpose rather than relying entirely on any one of them.